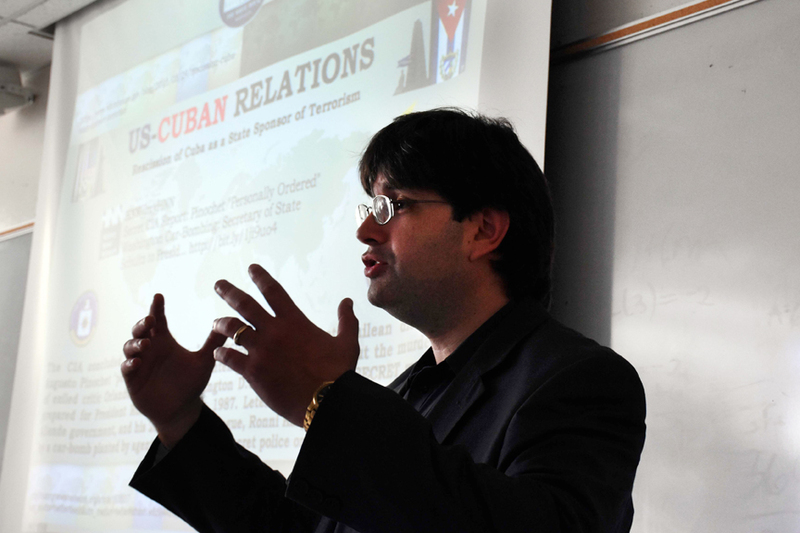 Miguel Fraga, the first secretary of the newly reestablished Cuban Embassy in Washington D.C., will be touring the San Francisco Bay Area from March 7-11, engaging audiences as he speaks on Cuban-U.S. relations. El Tecolote had the pleasure of asking Mr. Fraga various questions regarding his job post, and upcoming tour. Mr. Fraga, what is your job as the secretary of the Cuban Embassy in Washington D.C.? And what do you hope to accomplish as the embassy’s first secretary? First of all I’d like to thank you for the opportunity to talk about the work we do in this country as Cuban diplomats. I’d also like to take this moment to say hello to all of El Tecolote’s readers. On the topic of my work, I can say that I’m a Cuban diplomat who has the highest duty of representing my government, which fortunately is offset because it comes hand in hand with the great honor of representing my people. Cuba is the result of its people, the daily effort of human beings who live in a society that seeks justice for its children, and which contains equal opportunities for all of its citizens in its premises. Cuba is not perfect, but displays with humility what millions of people in this world aspire. It’s the Cuba with a life expectancy of 79 years. With an infant mortality rate of 4.3 per thousand live births. With virtually 100 percent of it’s people being literate. The country, which according to the United Nations’ Human Development Index, ranks 44th among 187 countries. It’s the nation that has met most of the Millennium Development Goals set by the U.N. itself. But it’s also the people who believe and preach solidarity. Our country today has more than 50,000 health workers in 68 countries. More than 68,000 students from 157 countries have graduated from schools in Cuba. I could cite many other examples, but the important thing is that we know through our work we have been able to win the affection, respect and admiration of millions of people worldwide. For those and other reasons I consider it a privilege to be a Cuban diplomat. Specifically here in the United States we work to achieve the results that demonstrate what we all know, that with respect and will, Cuba and the United States can have normal relations. What is the purpose of your tour? And what drew you to the San Francisco Bay Area? The purpose of my visit to San Francisco is to exchange the current relations between Cuba and the United States. Right now there is major interest in learning about Cuba. I think there is a lot of misinformation about Cuba that exists. Cuba is much more than the headlines and what is superficially reflected my most media. However, despite the misinformation, almost all opinion polls in the U.S. show that most Americans support the reconciliation between our two countries. We’ve felt the affection for Cuba in the U.S. and we can say that despite more than 50 years of differences, in Cuba there is no ill will. With the reopening of diplomatic relations between the United States and Cuba, in what ways is U.S. policy towards Cuba changing? And what does that mean for the Cuban people? This is precisely part of what I want to explain during my exchanges. Cuba and the United States have restored diplomatic relations but we don’t have normal relations. The embargo, which we call a blockade, remains. The U.S. cannot travel freely to Cuba. Despite the great interest that exists in boosting bilateral trade, numerous obstacles remain under U.S. law. To cite just one example, it is forbidden by law that the United States grant credits to Cuba for the purchase of agricultural products. In another major issue, Cuba cannot exercise full sovereignty over its entire territory as the United States maintains, contrary to the will of the Cuban people, the territory of the Guantanamo Naval Base. 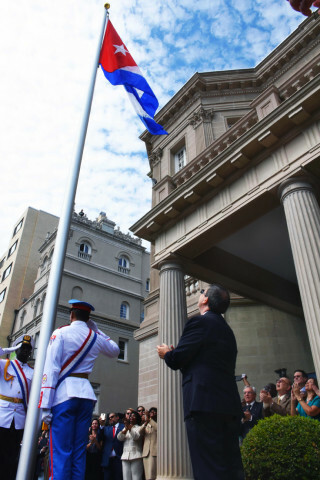 Cuba has reiterated its willingness to work for the normalization of relations, but it’s necessary to address and find solutions for these important and pending issues. We’ve all heard how stories about the impact the blockade has had on the Cuban people. How do you think the lives of Cubans in both countries will be affected by reestablishing diplomatic relations? According to the United States Census, this country has 2 million Cuban Americans. It’s an integrated community over various generations. Cuban migration to the United States didn’t come just with the Revolution of 1959, it predates it. Most of this community also favors that better relations exist between our countries. Regarding the impact of the blockade, I believe that unfortunately there is no real understanding of the ravages. The blockade mainly affects the people of Cuba and can be classified as an act of genocide. The blockade is an economic war. The blockade is not the cause of all our problems but it’s the main obstacle to Cuba’s economic development. This isn’t a bilateral issue between Cuba and the United States. The U.N. General Assembly has called for the lifting of the blockade for the last 24 years. Last year there was a record vote where 191 countries voted in favor and only 2 against. During my presentations I also want to elaborate on this topic. More than 70 percent of the current Cuban population knows no other reality than living under the impact of the blockade. Although the president of the United States can minimize the effects of the blockade, only Congress can remove it. This is important for the American people to know. Today both in the Senate and in the House of Representatives, there are favorable proposed laws towards bilateral relations that would help end the blockade. We firmly believe that the normalization of relations between Cuba and the United States provides opportunities for both countries and that both peoples want it. To achieve this, we will continue working with professionalism. That is the commitment. I invite you to join me on this tour of San Francisco and reiterate my gratitude for this opportunity. blockade Cuba Cuban embassy secretary embargo Miguel Fraga Washington D.C.